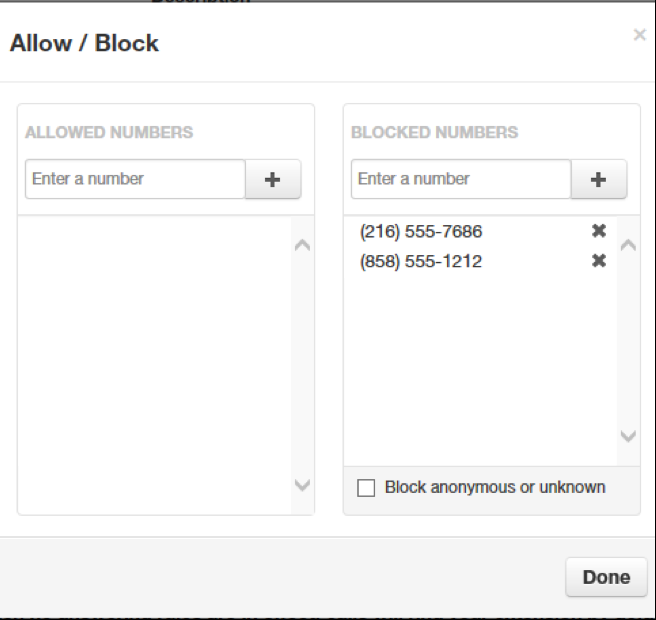 The Answering Rules page has an Allow/Block button that allows you to permit or block calls from certain numbers. 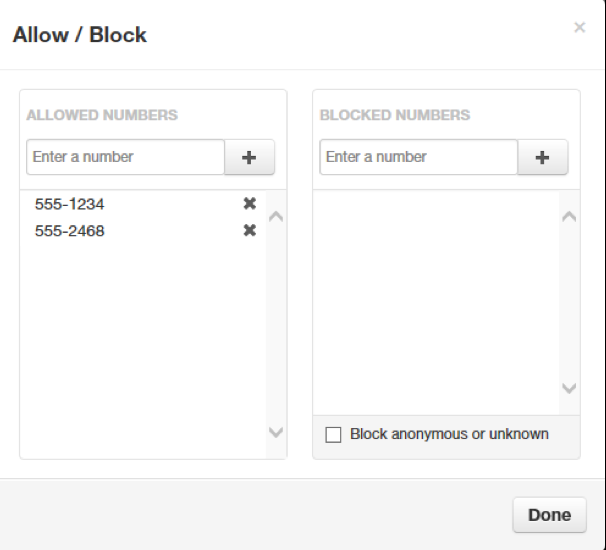 Using this feature, you can block unwanted calls to your phone, as well as calls from anonymous and unwanted numbers. Allowed numbers bypass user Do Not Disturb and Call Screening rules to ring through immediately. From the Answering Rules page, click Allow/Block. The Allow/Block page appears. This page has two lists, one for allowed phone numbers (on the left) and another for blocked phone numbers (on the right). Click in the Enter a number field. Enter the number you want to allow. Click the + button. The number appears in the ALLOWED NUMBERS list and a brief message tells you the allowed number was added. To remove a number, click the X button next to that number. Click the + button. The number appears in the BLOCKED NUMBERS list and a brief message tells you the blocked number was added. To add more numbers, repeat step 3. 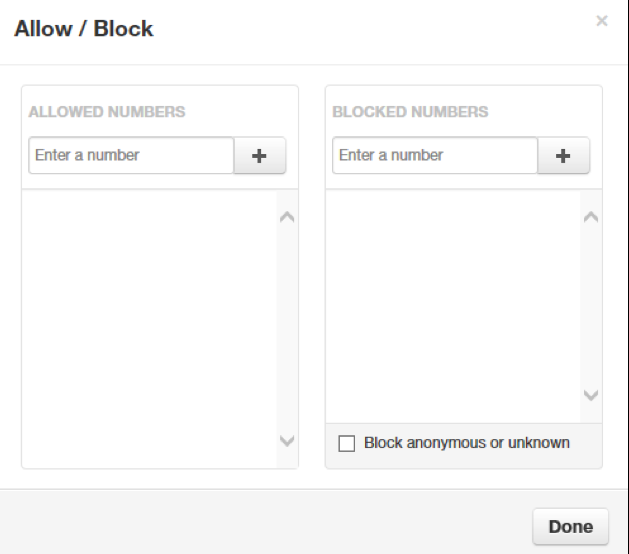 To block anonymous calls and calls from unknown numbers, check Block anonymous or unknown.